Meridian Veterinary Practice is friendly practice which prides itself in providing a caring & professional service. An affordable way to ensure your pet receives the preventative health care they require. Welcome to Meridian Veterinary Practice in Peacehaven! There has been a Veterinary Practice on this site in Edith Avenue since the early 1980s. The original residential building was constructed in 1923 and the building has enlarged significantly over recent years to now include a first floor office, laboratory and staff area, a ground floor side extension for the xray and ultrasound room, and a rear extension for separate dog and cat wards. 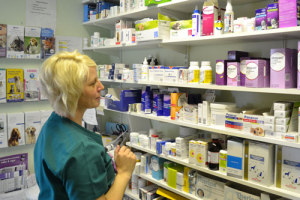 In addition, the original floor space encloses the reception area, two spacious consulting rooms, a preparation room, operating theatre and nurse office with prep area. When clients visit, they are invariably surprised at just how much space we have! Dr. Stephen Speak first came to the area in the spring of 1987 – the same year as the hurricane which took the roof off the practice, as well as reducing to rubble a number of houses on the promenade just a short distance away. Despite this initial setback, Stephen has stayed in the area ever since having been seduced by the South Downs and the sea. His three sons were all born and bred here, indeed certain clients still remember when his twins were born a mere 23 years ago. Meridian Veterinary Practice today is a vibrant and friendly place. We have smart, modern premises which we are very happy for new or existing clients to see around – just ask reception if you’d like a tour! 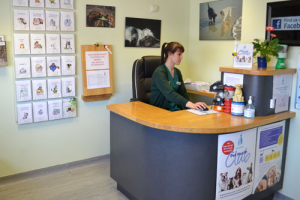 Our team consists of 3 vets, 6 nurses and 3 receptionists who are all passionate about their jobs. We aim to make every client’s visit as informative and pleasurable as possible.